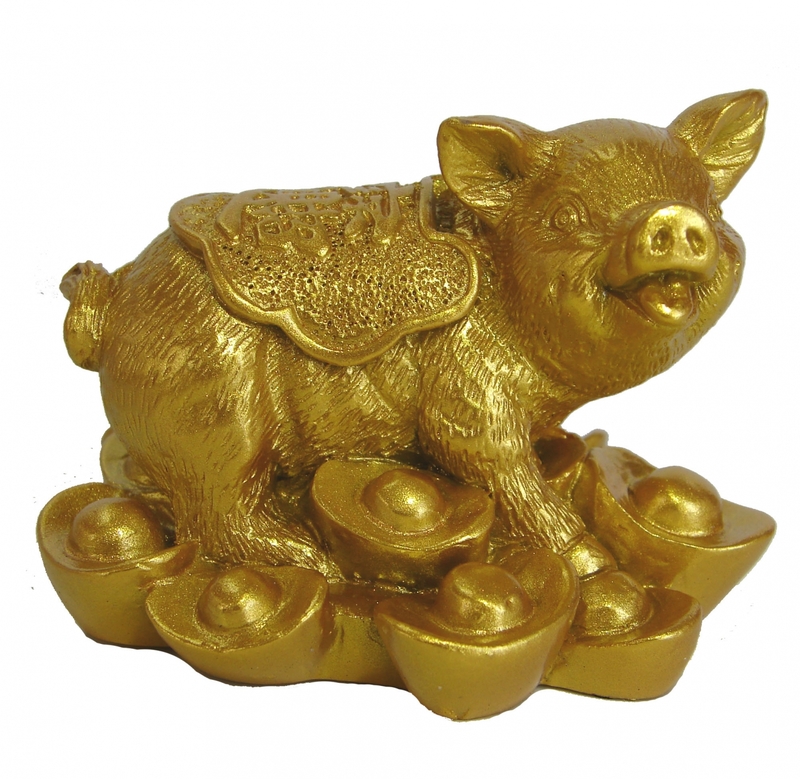 Stepping on a bed of ingots, this lovely golden pig statue with auspicious Chinese words on its back is a significant of wealth, abundance and good luck for Chinese lunar year of pig. The dimension of this golden pig figurine is approx. 2.75" x 2.25" x 2.125". It is made of resin.